A decision on whether Villas-Boas will be punished and, if so, the sanction he will face will be made ahead of Wednesday's clash with Urawa at Saitama Stadium outside Tokyo. Shanghai SIPG head coach Andre Villas-Boas reacts during the AFC Champions League group match against Australia's Western Sydney Wanderers in Shanghai in this February 28, 2017, photo. 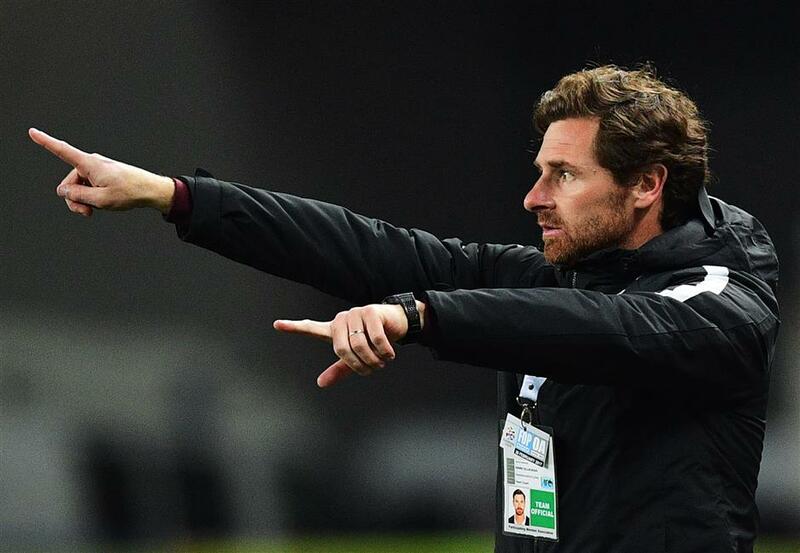 Andre Villas-Boas' fractious relationship with Asia's football authorities is set to come to a head as he faces the prospect of watching his Shanghai SIPG side take on Urawa Red Diamonds in the AFC Champions League semifinals from the stands on Wednesday. The Portuguese coach is currently under investigation by the Asian Football Confederation's disciplinary committee following his outburst in the aftermath of SIPG's dramatic quarterfinal win over fellow Chinese Super League side Guangzhou Evergrande. SIPG squandered a 4-0 first-leg advantage before defeating the two-time Asian champion in a penalty shootout, after which Villas-Boas slammed the AFC over the standard of officiating across the two matches and what he viewed as preferential treatment for Guangzhou. "Zhang Linpeng should be suspended from this game because he used his elbow in the first game and he's not suspended because the committee of ethics and discipline at AFC did not judge an elbow as violent conduct," said Villas-Boas. "This is the greatest achievement for SIPG ever because it's against a club that is dominating the AFC." Villas-Boas has been in trouble throughout his first season working in Asian football. He served a two-game ban in the CSL earlier this year for questioning the eight-match suspension handed down to SIPG's Oscar, while last Friday he was sent to the stands for repeatedly questioning refereeing decisions as SIPG defeated Beijing Guo'an to close the gap on leader Guangzhou. SIPG is playing in its first ACL semifinal, having lost in last year's quarterfinals under Sven-Goran Eriksson. It takes on an Urawa side that last won the continental title 10 years ago. The return meeting will be staged at Shanghai Stadium on October 18, with the winner facing either Iran's Persepolis or al-Hilal of Saudi Arabia in the final in November. Their first leg is on Tuesday in Abu Dhabi. Urawa and SIPG have already met this season in the ACL in the group stages. SIPG is a strong favorite on Wednesday but there was little between them earlier this season, with Villas-Boas's side winning 3-2 in China but Urawa getting revenge with a 1-0 victory in the return.